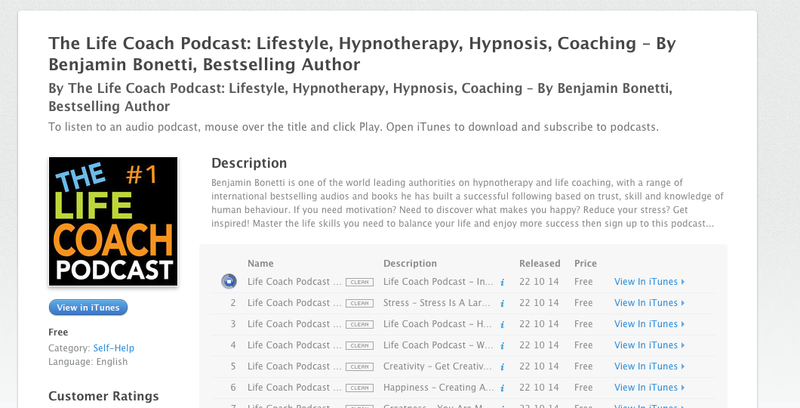 The Life Coach Podcast -We are pleased to announce the launch of our weekly podcast – offering motivational tips and mindful tasks to complete that week. These short punchy tips are less than 2 minutes offering a quick and easy prompt for that week. A well written book on how to cope with the many stressors which surround us in modern life. The book starts by telling us about stress and how we react to it physically as well as mentally. We then learn facts about stress and begin to delve deeper into common stressors. We are then taught different ways to identify our personal stress and how and when to deal with it via lots of progressive and effective mental and physical exercises. Lifestyle changes and diet are also discussed. The book finishes with a chapter on tools and a very useful summary. The layout and format of the book is excellent. Rather than each section covering a single subject the book builds throughout and refreshes frequently to ensure that the interest is kept up and the reader is not overloaded. There are exercises to complete, and where appropriate there is space to write answers or jot down notes. It is clear from this layout and format that the author is using his experience as a hypnotherapist to get the reader to take ownership of the subject and therefore retain the information more effectively. Has it helped me? Yes - I now use the exercises almost every day, and can recognise stress much earlier than before. I therefore highly recommend this book for everyone.